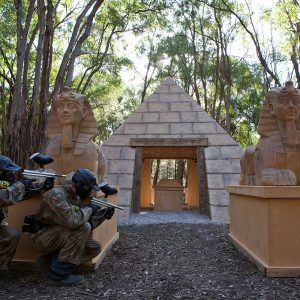 Celebrate your birthday – Delta Force style! 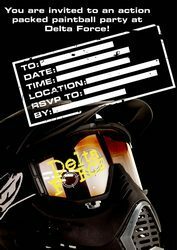 Every time you visit a Delta Force paintball centre we strive to bring you the ultimate paintball experience. When you share your birthday with us down at one of our centres, we go that extra mile to ensure your day is one to remember. 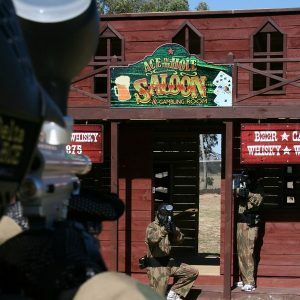 From personal birthday wishes during our end of day presentation to special gift packs for the birthday boy or girl, all of our friendly marshals are there to make your day of paintball full of adventure and excitement. Now, in an effort to make organising your next birthday party at Delta Force even more convenient, we have designed some exciting new party invitations for you to download free of charge. 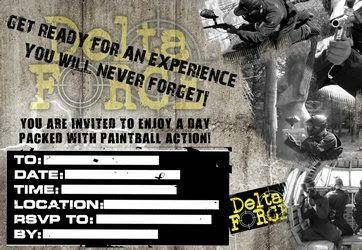 So if you want to share your special day with friends and family down at a Delta Force paintball centre, then be sure to download our free invitations – it’s the easiest way to organise your day of outdoor adventure! 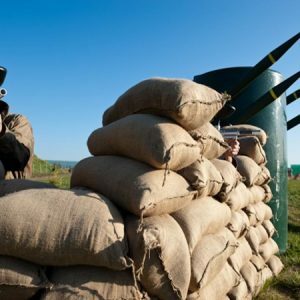 To view our range of party invitations please visit the page with paintball downloads.